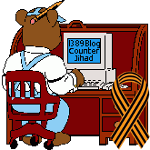 Fox News — 1389 Blog - Counterjihad! Is Fox News conservative, center-right, “fair and balanced” – or something else entirely? Who Owns the Media – and What Can We Do?